The Nazis have forced Natia and Teodor from their Polish farm to a labor camp. Separated, Natia is chosen to be the housekeeper for the camp's overseer, and her husband Teodor is sent to work in the factory. Despite the strict camp rules--and the consequences for disobeying them--Natia finds a way to communicate with Teodor by sending messages through song as she passes Teodor's dormitory. But then Natia finds a Jewish orphan on the overseer's doorstep. 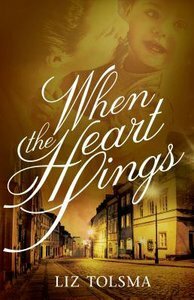 She is determined to protect the boy and raise him as the child she and her husband were unable to bear--but if her German captors discover how much she's hiding, both she and Teodor may pay the ultimate price. About "When the Heart Sings (#02 in Music Of Hope Series)"